Medications can cause many skin reactions. 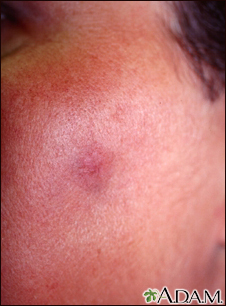 This particular rash, seen here on the cheek, is called a "fixed drug eruption". This type of reaction typically occurs in the same location when the person uses the same medication again.